First of all what you need to do is gather all the ingredients. 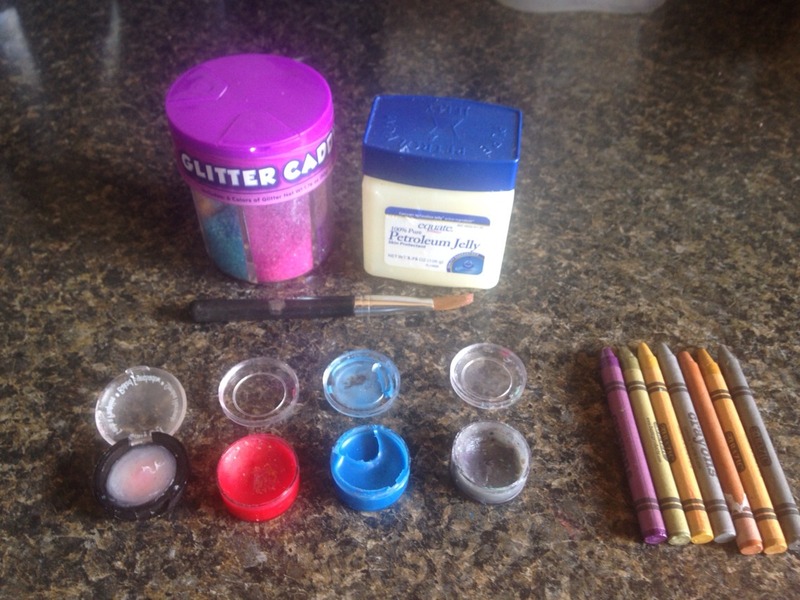 Some of the ingredients are Crayons,petroleum jelly, some jars to hold your lipstick/lipgloss in ,a spoon a glass cup,some water;some fragrance, sparkles. 1:What you first need to do is get some petroleum jelly with a spoon and put it inside the cup. 2: then melt the petroleum jelly in the side of your microwave in the cup for 32nd intervals at the most. Or you can use a stove and use a pan and put it on top of the stove with some water put the cup in the middle of the of the pan and then put the petroleum jelly in there. 3: now start to prepare your stuff. 4: Break a tiny piece of the Crayon off like half of the crayon at the most at one time. And put it inside the jar was the 30 seconds are up. Then heat it for 40 seconds and after that heat for 30 and then 20. Only go that far with heating is only if the crayon is not melting. Stir every time the microwave stops.5: take the cup out and get your little jar ready. Pour the crayon mixture into your little jar. Now it is safe to add some fragrance, add some fragrance and then mix it together.6: and put it in the freezer for a minimum of 30 minutes. Enjoy!